There is more to Assam than its excellent brand of tea. Assam tourism boasts of many unexplored tourist places, and the more you read about it, the more you get awestruck. This state in idyllic Northeast India has a rich culture, heritage and tradition. There is something distinct about the Assam tourist places, they are pristine and have years of history behind them. They help you beat the crowds and inspire the explorer hidden within you. 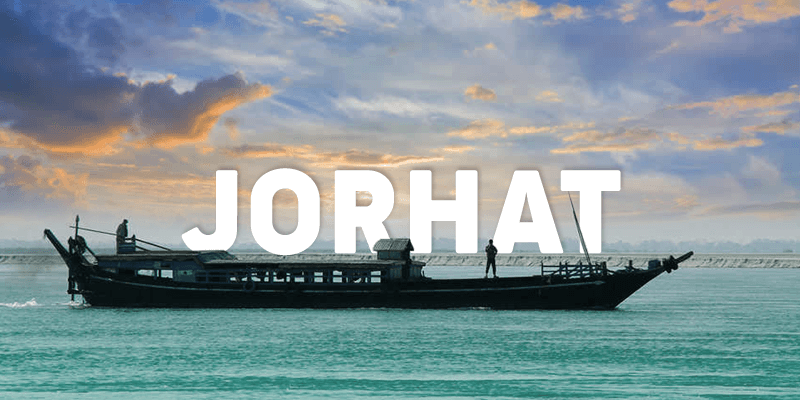 If you care for an offbeat holiday experience then Jorhat in Assam is the perfect place to start. Jorhat is the fastest growing city in Assam. But the rapid rate of development has not overshadowed its rich past. 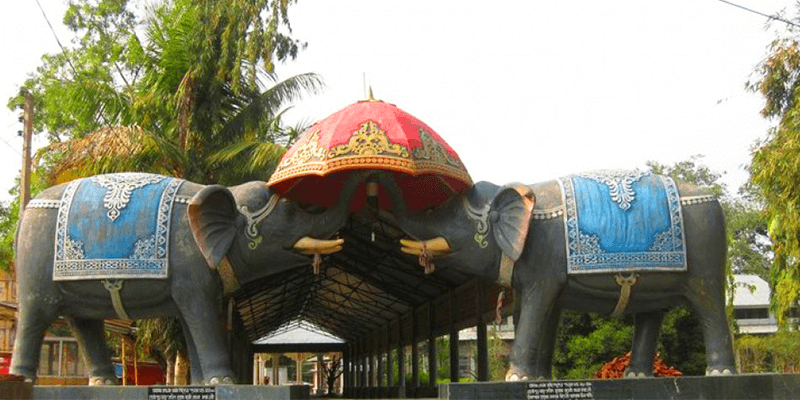 Alongside the bustling industrial urban centre, Jorhat town also has many historic and scenic attractions that would keep the tourists thrilled. This city lying on the banks of Brahmaputra river, is known as the ‘Cultural capital of Assam’ and served as the last capital of the Ahom kings. 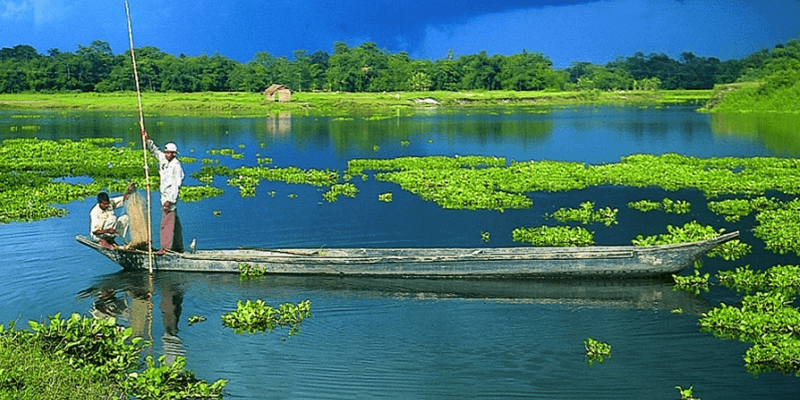 The largest riverine island in the world, Majuli, is accessible by ferry from the river banks of Jorhat. Majuli Island is almost self-sustaining. There are shops, schools, college, dispensary, community hall and a park on this unique island. The main village on this island is Naghmar and it hosts many cultural events all through the year allowing the tourists to get a taste of Assam’s tribal culture. The way of life at this riverine island is unique and would impress you, for sure! Tip: While on the ferry, do stay watchful. You may be able to spot river dolphins putting up a spectacular how especially for you. Wildlife enthusiasts coming to Assam always have Kaziranga National Park and Pobitora Wildlife Sanctuary in their wish list. But Hoollongapar wildlife sanctuary near Jorhat is a not to miss tourist attraction. 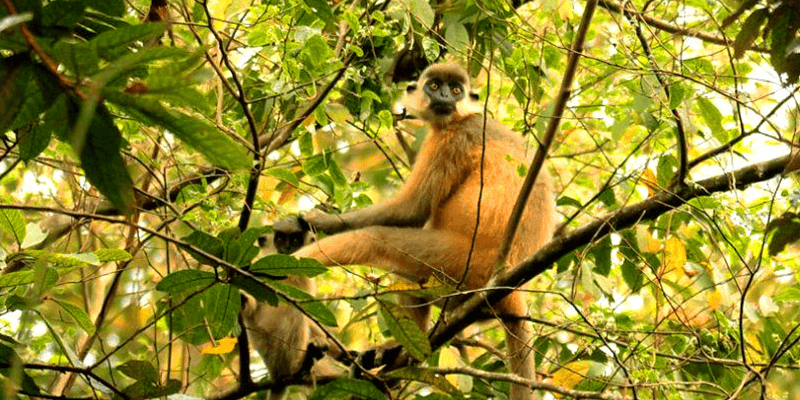 It is the only Gibbon wildlife sanctuary in India. The sanctuary houses an ever increasing population of the rare Hoolock Gibbons, making it a great destination for the wildlife lovers. Visitors can also feast their eyes at the rare sighting of Bengal Slow Loris. Entry fees: INR 50 per person for Indians and INR 500 per person for foreigners. This ancient Shiva temple is situated about 35 KM away from Jorhat city. This stone built temple was constructed by the Ahom rulers during their heydays. Bilvesvar Shiva Temple is a magnificent example of elegant Ahom style architecture and contains an equally beautiful Shiva idol. Must see: There is a holy tank behind the temple where the devotees are known to take a holy dip before performing their poojas. 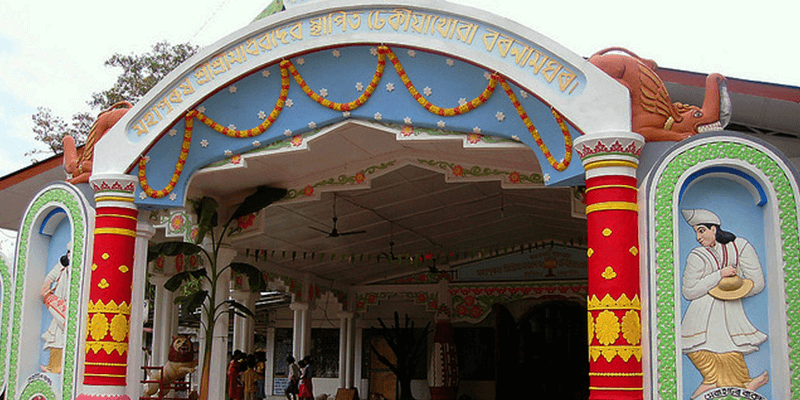 Situated in Jorhat city centre, Burigosain Devalay is an ancient Durga temple built during the Ahom rule. The interiors and exteriors of the temple have nice architecture. While the main temple within the campus is dedicated to Burigosain (a form of Durga), there are other small temples dedicated to Lord Shiva and Ganesha. Must see: Evening aarti at this temple is a not to miss thing for the travelers. This is the final resting place of Assam’s greatest military general and a war hero. 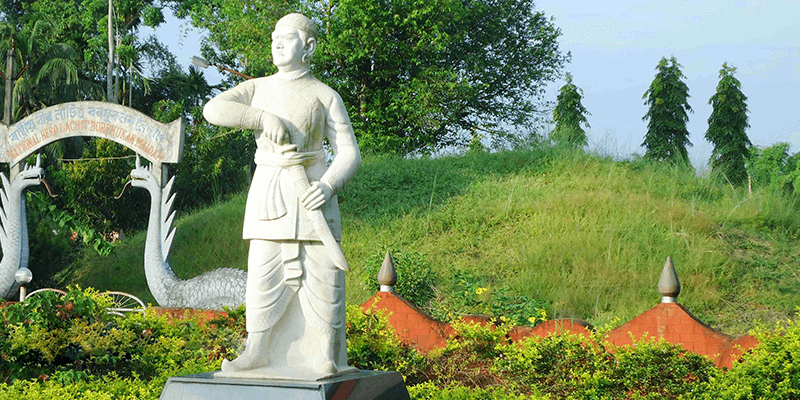 Lachit Borphukan was an Ahom general who is known to have won 17 battles against the mighty Mughals during his time. Logically, this tomb is a place of great pride for Jorhat residents. The museum has many precious artifacts used by the great general and a slideshow on his life. 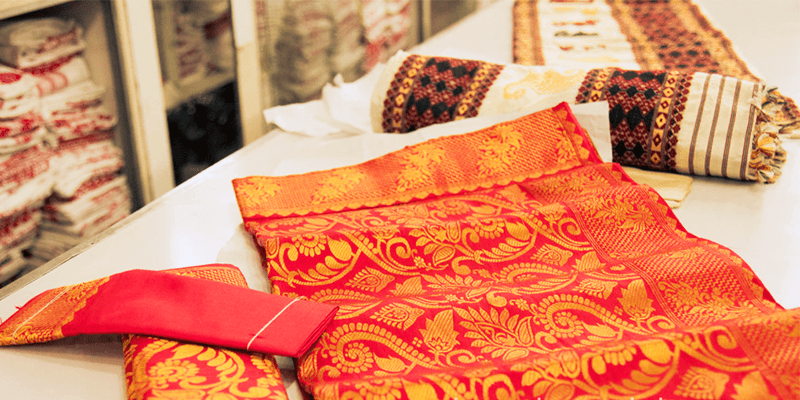 Jorhat is popular for its wide variety of traditional Mekhla chadars. And you get the widest range of these at the Jorhat Market. The market is flooded with shops that help you buy the best designed Mekhla. While shopping at the market, do also care to check out the cafes. You might want to visit Garh Ali and Babupatty which are well known for their delicious offerings. Tip: Do bargain for some good discounts on your purchase.